Multi- Layer roofs are roofs that have had an additional layer of roofing added over the top of a layer that has reached the end of its useful life. Multi-layer roofs are the goto solution for house “flippers” and people that need a new roof surface but would like to do it as inexpensively as possible. The edge of the roof is the best location to determine if you have a multi-layer roof. The main upside to going over the top of an existing layer of shingles is cost. The labor that it takes to remove the old roof and the dump costs can be directly subtracted from the cost of the new roof. In general this savings equals around 10 to 20 percent of the cost of the new roof. If you are planing to move in the near future this saving may seem like a good deal. Now lets look at the downsides. 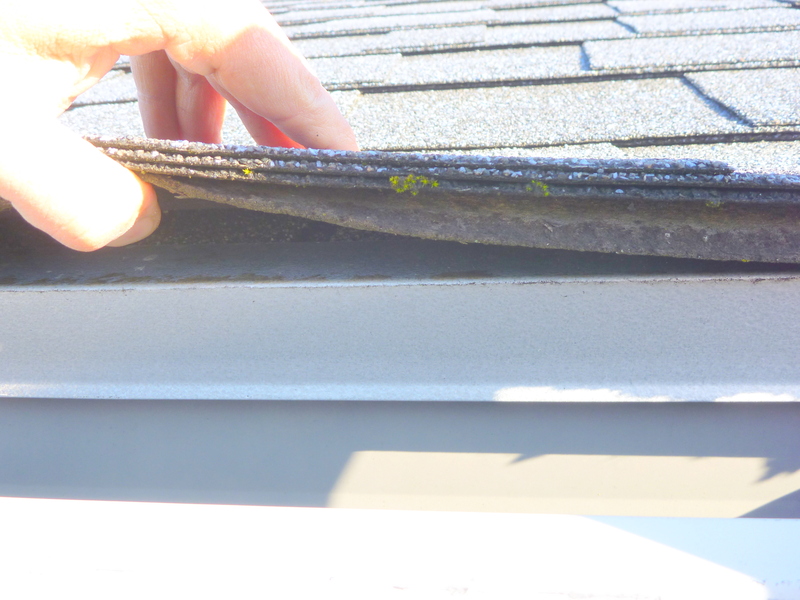 Wear and tear: Multi layer roofs are usually not warranted by the shingle manufactures and they will not last as long. How much shorter the new shingle’s life will be depends on many variables but two thirds to three quarters the life is a safe bet. Also multi-layer roofs will have more issues with nail pops, or fasteners that poke through the surface of the new shingles. This condition is due to the fasteners not being long enough to penetrate through the old shingles and in to the wood sheathing properly. As a local Salem, Oregon home inspector I see these type roofs often and it is important my client understands what a multi-layer roof actually means. Most shingles are at least 20 year products (if they are installed correctly!) so even on a multi-layer roof you should have at least 12-15 years of relatively trouble free roofing.